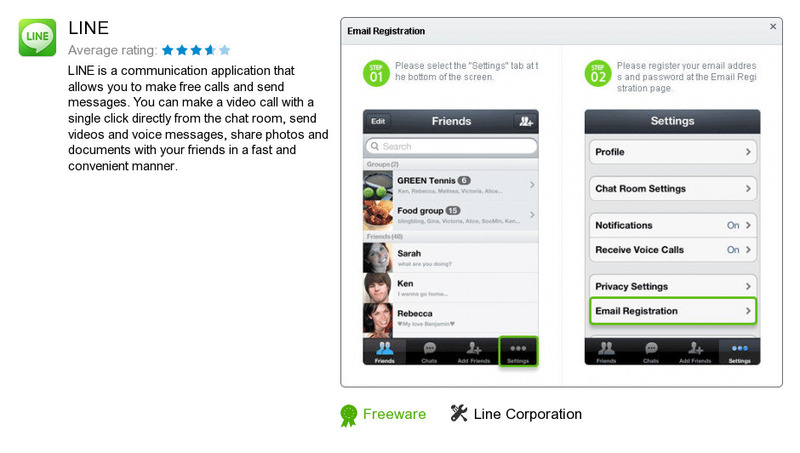 LINE is a software product developed by Line Corporation. We know of versions 4.6, 4.5, 4.4, 4.3, 4.2, 4.1, 4.0, 3.9, 3.8, 3.7. Version 4.6.2.933 is available for free download at our site. LINE installation package has a size of 25,662,794 bytes.